Founders Richard Grigsby and Gary Cooper stay on as directors. Cycle to Work scheme business can now "move up to next level"
For this January 2010 profile of Cyclescheme, rather cheekily I asked Richard Grigsby and Gary Cooper when they were going to sell the business. The answer was non-commital so I didn’t mention it in the piece, but it was the first line repeated back to me when Grigsby called to announce this sale-of-the-business story. 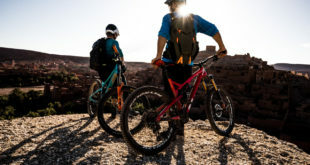 Grigsy and Cooper have sold Cyclescheme, the Cycle to Work scheme business specialising in the IBD sector, to the Grass Roots Group, a business services company headquartered in Tring, Hertfordshire. In December, Cyclescheme was named the fastest growing private business in the UK in the Fast Track 100 Awards. 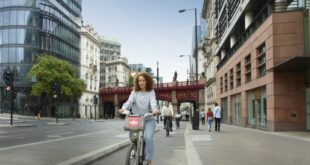 Clients of Cyclescheme include Coca-Cola, Rolls Royce, Barclays, the BBC, central government, councils, NHS Trusts, police authorities and half of the country’s fire and rescue services. Almost every independent bicycle dealer in the UK is on Cyclescheme’s database of participating bike shops. Grass Roots Group was set up in 1980 by David Evans MBE. Now with a turnover of £265m and offices in sixteen countries, it offers a broad range of marketing, research and HR services. In the UK, the Group has extensive employee benefits interests, including Bike4Work, its own Cycle to Work scheme. “I’m delighted that Richard and Gary have chosen to join the Grass Roots family,” said Evans. “The strategic fit is excellent, but just as importantly there is a strong sense of shared values. They have immense passion for what they do and a great team of people that have followed their vision. This is a first class business with great scope for future development." Grigsby said: “Gary and I felt the time was right to become part of a larger business, providing we could find one which shared a similar ethos. We have known Grass Roots since we founded the business and they know us, and our marketplace, very well." Grigsby and Cooper will continue to run Cyclescheme from Bath, as directors. 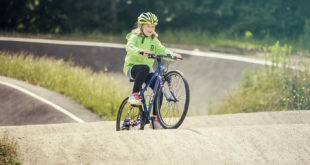 Cooper said: "Our efforts will be backed by the weight of Grass Roots and this will be of massive benefit to the independent bicycle industry. Grass Roots Group are celebrating 30 years in employee benefits provision and Cyclescheme will now benefit from this vast experience to gain new business from the corporate world."